What do Great Grandma’s pasta sauce, Dad’s meatloaf and equipment leasing all have in common? Give up? The answer is: they all have a secret ingredient! We’re not sure what Great Grandma uses or what Dad throws in, but at Tiger Leasing our secret ingredient is our restaurant equipment leasing, and we're willing to share that secret with cafes, diners, bistros, bakeries and 5-star dining restaurants of all kinds! 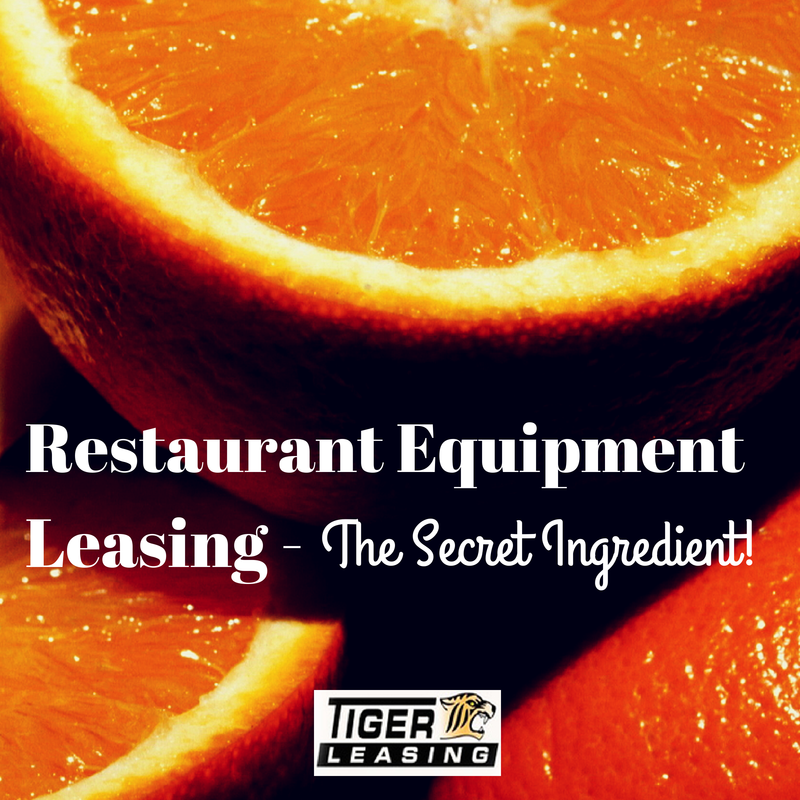 You can obtain the nicest, most up-to-date restaurant equipment and supplies on the market, with a restaurant equipment lease from Tiger Leasing! It’s true, many ingredients go into making a restaurant successful. With that being said, no restaurant is complete without its equipment. Restaurant equipment is more than a freezer and a stove; it involves hundreds of tools and appliances to create that delicious menu. Why juggle quality, cost and convenience when deciding upon equipment? You can’t be a great baker or an excellent chef without the help of equipment. Get what you want when you lease! Leasing restaurant equipment is a valuable way to enjoy the benefits of the newest technology and equipment because you can upgrade anytime. The benefits of leasing are great, especially for restaurants owners. When you lease, you are conserving your cash and working capital. Instead of spending a chunk of money on purchasing new equipment, you will have all that cash left over to put back into the business or spend on other marketing opportunities. You are also preserve your credit lines because your borrowing availability is left untouched. Ownership can be an expensive luxury, one that we don't think restaurants need to worry about! When you lease, the new equipment practically pays for itself over time. You can also use your equipment immediately, instead of waiting around. It’s no wonder why eight out of ten businesses use equipment leasing programs to acquire equipment. We are a restaurant equipment leasing and financing company that truly understands your business. No one knows Great Grandma’s secret ingredient, just like no one knows your restaurant better than you do. If you are ready to produce faster and worker smarter, contact Tiger Leasing today.